Now that we have the hardware, operating system, and web address, the next step is adding web applications to the server. ownCloud is a personal cloud storage solution similar to Dropbox, Microsoft OneDrive, or Google Drive. However, instead of having files stored on servers somewhere in the world, they are stored on the server at home. The advantages included added security and near limitless files storage. As long as the server has accessible hard drive space, ownCloud will be able to store files. 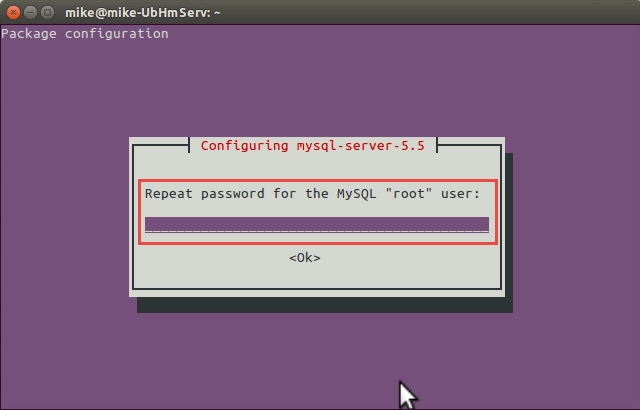 Read on to learn how to install ownCloud. 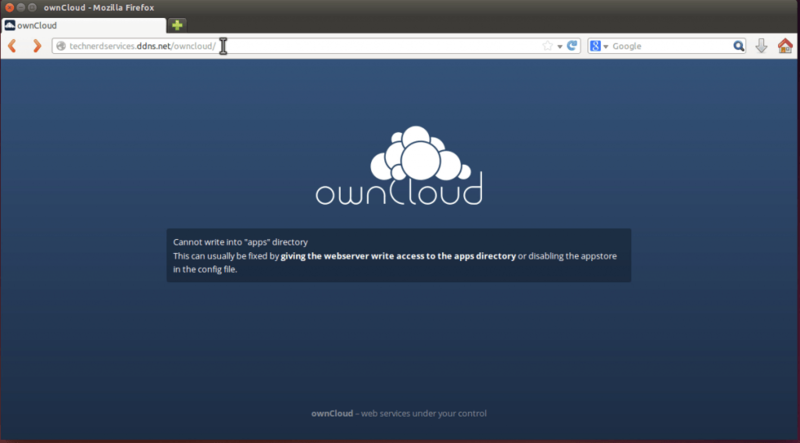 On the Ubuntu server, open a web browser and navigate to ownCloud’s homepage: http://owncloud.org. 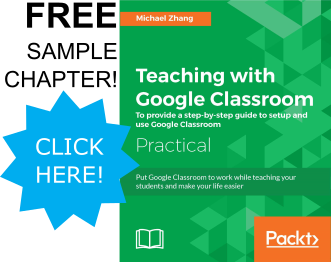 Click on the “Download” button on the top right corner of the page. In the “Install ownCloud Server” section, click on the “Packages For auto updates” button. It will have a penguin icon on it. In the popup, click on the “Continue” button at the bottom right corner. NOTE: On the webpage, the order is out of order. reference the above picture if needed. Refresh the web browser and you will be greated with a page to create the username (A) and password (B) of the admin account and choose a database (C). 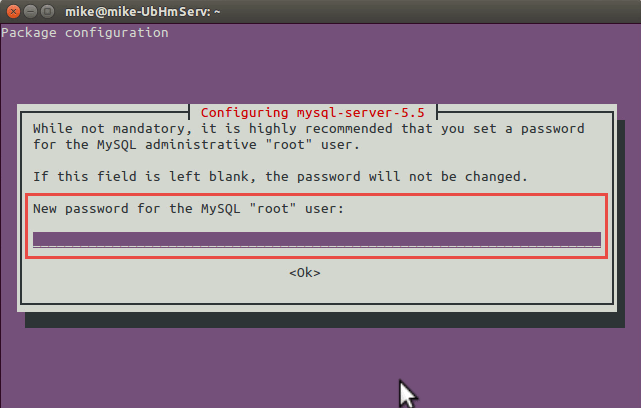 Select the middle option for the database (A), “MySQL/MariaDB.” Type “root” for the Database user (B), the password created in step 7 in the Database password (C), and choose and type in a name for the database in Database name (D). Then click the “Finish Setup” button at the bottom. 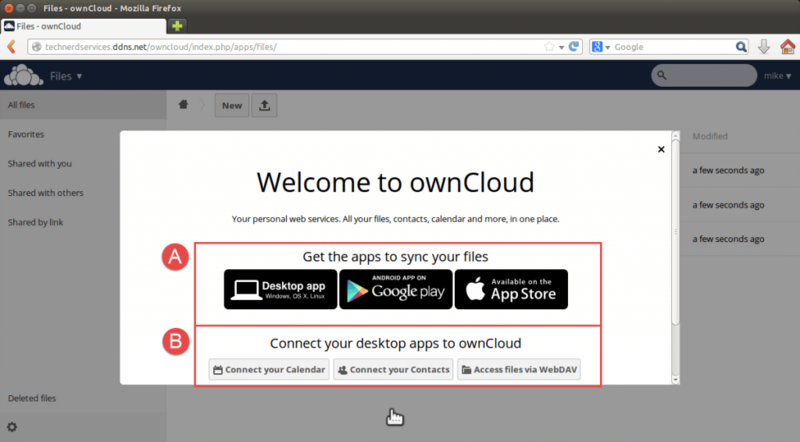 The next page will be the ownCloud web app with a popup that provides links to different syncing apps for PC, Android and iOS (A) and links to connect pre-existing software such as Microsoft Outlook data to ownCloud (B). Your ownCloud installation is now complete! 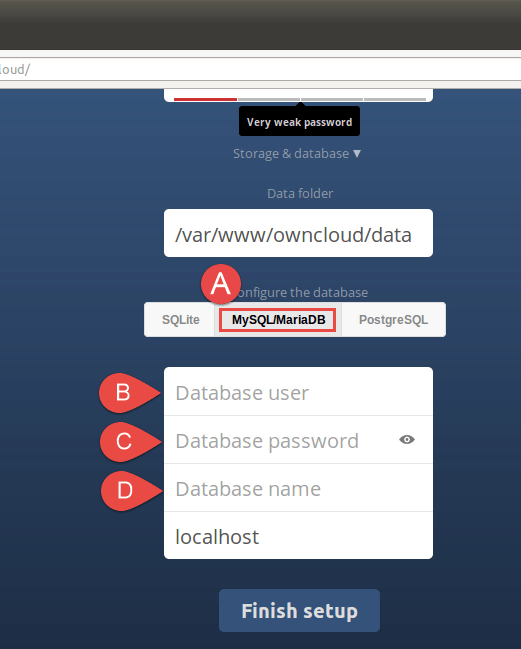 With ownCloud 8 server setup complete, the ownCloud web app is now accessible from any computer with an internet browser and internet connection. Using the free desktop, Android or iOS apps allows for easy syncing of files between your daily devices. In an internet with large corporate clouds everywhere, it’s nice to have a small cloud for yourself. Up next, accessing your media using Plex Media Server.